Among the vehicles on display is the Edsel Ford Model 40 Special Speedster, designed by Edsel Ford and Eugene T. “Bob” Gregorie. Vehicle appears courtesy of the Edsel and Eleanor Ford House, Grosse Pointe Shores, Michigan. An exploration of the artistry and imagination of “dream cars” is running this spring and summer at the Indianapolis Museum of Art (IMA). 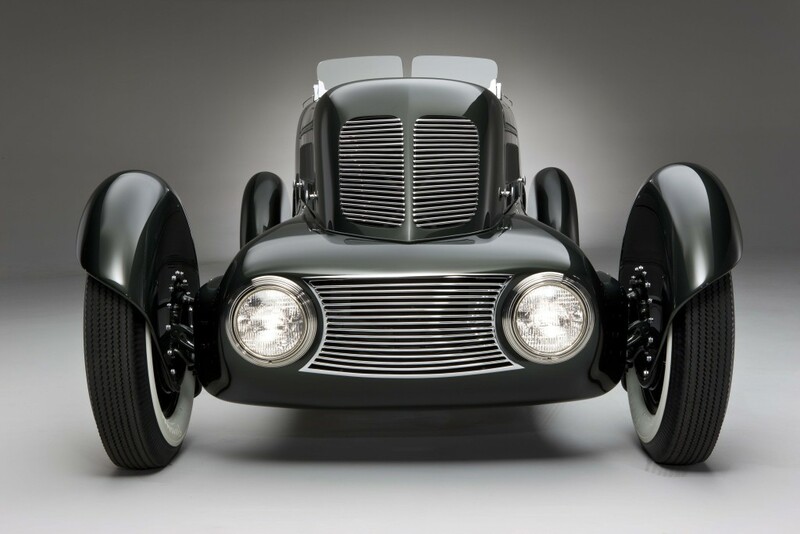 Seventeen forward-looking automotive concepts constructed between 1932 and 2001 will be on display in Dream Cars: Innovative Design, Visionary Ideas presented in the museum’s Allen Whitehill Clowes Special Exhibition Gallery. The exhibit opens on May 3 and is scheduled to run through Aug. 23. On almost 10,000 square feet of floor space, the exhibit reflects the work of both corporate automakers and independent thinkers from the U.S. and Europe. As Dream Cars showcases the artistic sensibilities of the creators of the vehicles on display it also points up predictive technologies that were part and parcel of some of the cars. L’Oeuf électrique,. Designed and fabricated by Paul Arzens. Courtesy Musée des Arts et Métiers, Paris, France. Photo by Michel Zumbrunn and Urs Schmid. “The span of cars in this exhibit is really neat. 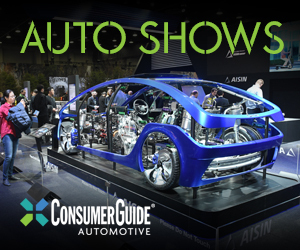 We’re thinking of ‘future past,’” said Ken Gross, the noted automotive writer who served as guest curator for the show. 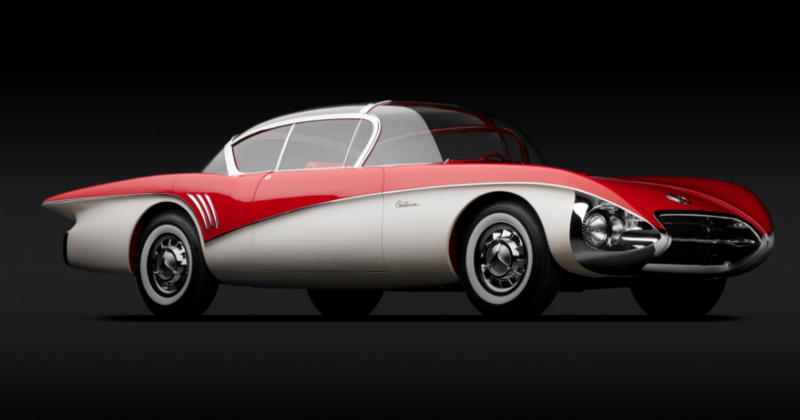 That notion effectively sums up the likes of exhibit vehicles like the Stout Scarab, L’Oeuf électrique, the General Motors Firebird I, and the Buick Centurion. Aircraft designer William B. Stout’s sleek beetlelike rear-engine people-hauler with configurable seating calls to mind the functionality of a minivan from nearly 50 years before the first Dodge Caravan. 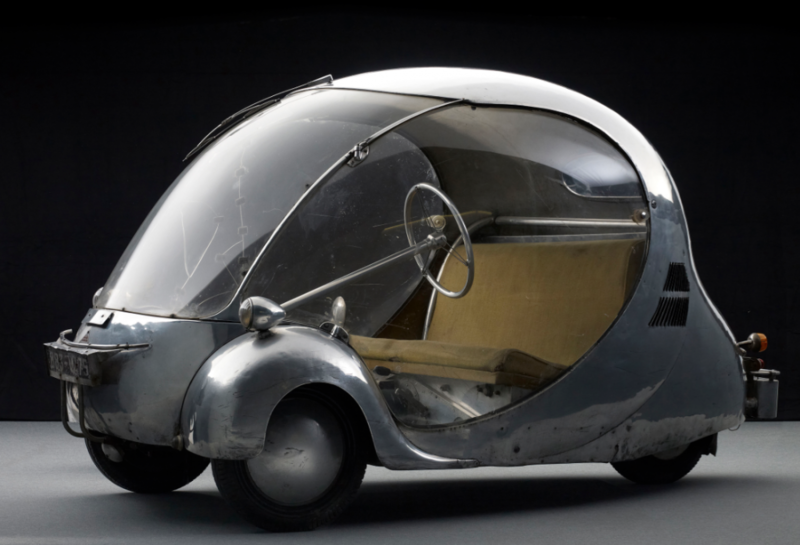 Artist Paul Arzens’s “electric egg” minicar bodied in aluminum and Plexiglas allowed him to shuttle around Paris during the years of Nazi occupation and limited supplies of fossil fuels. 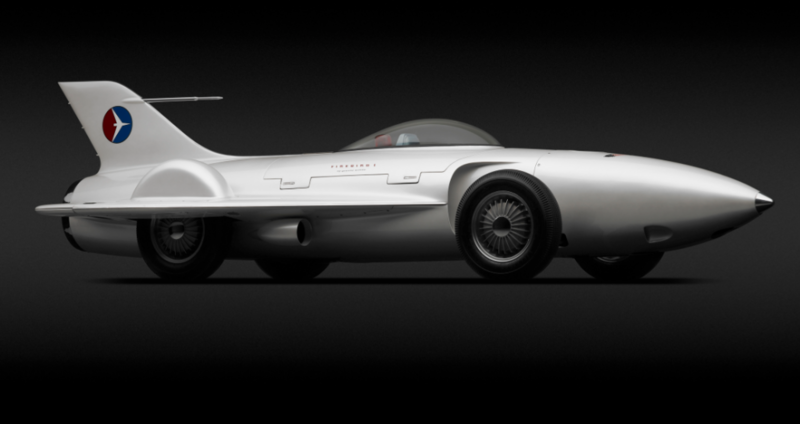 The Firebird I, designed in Harley Earl’s General Motors Styling studios for the corporation’s 1954 Motorama shows, looks like a delta-wing jet fighter for the ground but served as a showcase for the gas-turbine engines with which GM was experimenting. The dramatic Centurion—which Gross recalled seeing as a boy at the 1956 Motorama in Boston—has all the glitz and daring of a 1950s dream car plus the technical novelty of a rearview camera the could be monitored on a dashboard-mounted television screen. Inventive vehicles from European marques such as Voisin, Panhard, Ferrari, and BMW are also among those displayed. Then, too, there are the more personal expressions of individuals like Arzens and American Norman Timbs, whose flowing—almost aquatic—midengine Special roadster from 1947 is shown. General Motors Firebird I XP-21. Designed by Harley J. Earl, Robert F. “Bob” McLean, and GM Styling Section staff. Courtesy General Motors Heritage Center. Photo by Michael Furman. In addition to revolutionary vehicles, Dream Cars also features conceptual drawings and scale models, further illuminating designs that expanded the limits of automotive imagination and, in some cases, shaped the future of the industry. The exhibition includes a Car Design Studio where visitors can explore the process of automobile design through hands-on activities—including trying their hand at creating a design of their own. 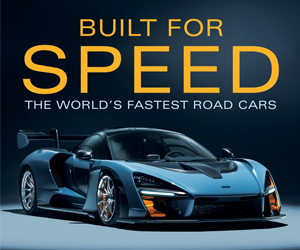 An iPad app designed to present information about the cars’ hidden features and interiors, historic footage, and interviews with leading automobile designers accompanies the exhibit. The exhibition was put together by Sarah Schleuning in consultation with Gross, a former executive director of the Petersen Automotive Museum in Los Angeles who has been involved with a number of other automotive-themed art-museum presentations. The IMA run of Dream Cars: Innovative Design, Visionary Ideas is the second showing of the exhibition. It made its debut at Atlanta’s High Museum of Art, where Schleuning is curator of decorative arts and design, in 2014. Buick Centurion XP-301. Designed by Harley J. Earl and Charles “Chuck” Jordan. Courtesy of Sloan*Longway Museum, Flint, Michigan. Photo by Michael Furman. Tickets can be purchased at the museum’s Guest Services Desk or online through IMA website. Tickets are $18 for adults and $10 for youths ages 6-17. Children 5 and under, and museum members are admitted for free. Located about 10 minutes north of downtown Indianapolis, the IMA opens at 11 A.M. except on Sundays, when opening is at noon. It closes at 5 P.M. except on Thursdays, when closing is at 9 P.M. The museum is closed Mondays. Further information can be had by visiting the museum’s website. Written by: John Biel on May 1, 2015.on January 15, 2018.